Campana Forni is born 30 year ago, and since the nit grew up thanks to effort and passion, becoming a recognized operator in industrial furnaces field. Our know-how puts its roots first of all in the technical capital of Eng. Italo Montevecchi, prominent figure in heat treatments and controlled atmospheres in the international industrial panorama. His 40 years old experience produced, among the other things, a substantial documentary that we jealously keep and that we constantly enrich with the technological processes that come to life. In addition to this lucky base, we perfected our professional competences thanks to the continuous updating, that is mandatory in a field in which technologic development are on the agenda. So, today we are able to offer our clients keys in hand solutions. All they have to do is telling us their needs! It is exactly where we start from, analyzing the objective and the means available. A complete project follows the analysis, including a cost/benefits comparison in order to choose the right solution. 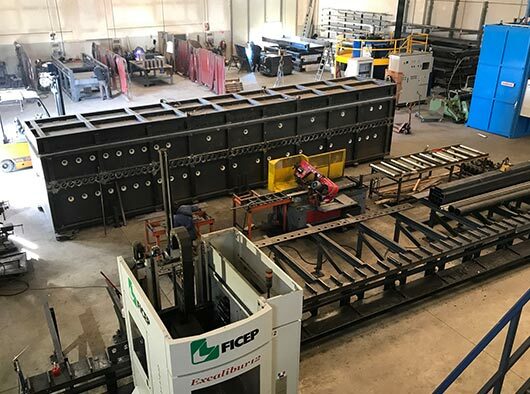 After the design we take care of the realization of the system, through the using of first-quality materials and a deep knowledge of the furnaces, the atmospheres and the production dynamics. Our strong point is the possibility to follow the client in toto, from the beginning of the project to the post-selling. This happens because the client satisfaction comes for us first, and because thanks to our experience we are able to intervene in different phases of the process. More than a simple producer: we are professionist in industrial furnices and mechanical and industrial carpentry. We act on systems both ours and of third parts, making available our professionalism in order to solve every kind of problem. From paper to metal, our workers are responsible for the effective realization of what has been put on paper. Thanks to the experience earned throughout the years, we developed a work method based on precision, speed and reliability. Our service goes beyond the simple production, including transport and assembling at the client chosen destination of the furnaces realized. We dispose of every mean for the transport of the systems, even the big ones. The quality of our work can be seen in our client satisfactions, but also in the certifications obtained. For us, working in compliance of the national and international guidelines is extreme important.